1• An optical illusion caused by atmospheric conditions. 2• Something that appears real or possible but is not. So says the dictionary regarding the word chosen by Dassault as the name for the first European aircraft capable of sustained Mach 2 flight. The prototype was a response to a French Air Force requirement for a high altitude interceptor, originally called the Mystère Delta. This was an incredibly advanced specification for 1953, calling for an aircraft capable of Mach 2 that could reach 60,000ft in under six minutes; issued at a time when transonic flight was in its infancy. Perhaps the engineers working on the project thought they knew something everyone else was missing when they changed its name to Mirage I. The difficulties facing them were severe; this was completely new territory in aerodynamic terms, but the aircraft that emerged from this programme was a triumph, an artistic expression of elegance. Lithe and streamlined, its curves flowing into razor sharp lines made it look like it was doing Mach 2 standing still. Like the F-86 Sabre in the US, the impossibly futuristic shape captured the imagination of the public, creating a multi-media icon as powerful as the Spitfire is in Britain. Sadly, the image of this beautiful machine was to be tarnished in the international arena, a corrosion that had nothing to do with its performance or the incredible technological achievement it represented, its shining skin was tarnished with the rust of politics. It has always struck me as being a shame that many remember this aircraft not for being a marvel of science and design, but for being a pawn in political situations which strictly speaking were nothing to do with the aeroplane or its manufacturer. Sir Sydney Camm, designer of the Hawker Hunter, once said: “All modern aircraft have four dimensions: span, length, height and politics.” He was referring to the TSR2, but his words apply equally well to the Mirage. Israel, the second customer after France and the prompter of the development of the incredibly successful Mirage 5, was to fall foul of a sudden about-face by the de Gaulle Government, a situation and its solutions discussed at length in these pages. Controversy seemed to dog the aircraft wherever it went after this; South Africa, the massive Libyan order, aircraft supplied to Egypt by Libya and then Saudi Arabia, the cost overruns of the Swiss order, all of these combined to give the Mirage a very different image on the international stage to that which it enjoyed at home and goes to prove that mud does stick, no matter how unfairly or inaccurately it is thrown. It is grossly unfair that Dassault’s good name and reputation were also sullied by association in many of these controversies. Marcel Dassault was a remarkable man who survived the most terrible and inhuman oppression of the 20th Century, shook off the horror of his past and almost single-handedly rebuilt an entire industry. Both his family and his company deserve better. Interestingly, the sensitivity created by misrepresentations of the past still lingers in some areas of the Mirage story. Information on the supply of the Mirage 5 to Israel and the subsequent development of the Kfir and Cheetah is extremely difficult to come by. The people involved are still unwilling to talk on the record in anything but the broadest possible terms. It is strange to me that this is still the case so many years after the events and considering the complete political revision the world has undergone in the intervening years. 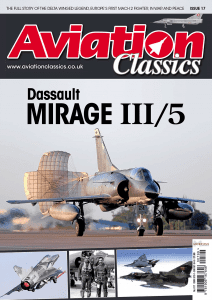 In this issue of Aviation Classics I have collated the known facts of the story and attempted to produce as clear and accurate a history of the Mirage III and its derivatives as is possible. As to the political aspects, I prefer to let the facts speak for themselves and let you make your own mind up. Like the Harrier edition, my battle cry of “keep politics out of aviation” seems to be raising its banner again. As usual I have been assisted in recording this complex and fascinating story by some of the best aviation historians from around the world. 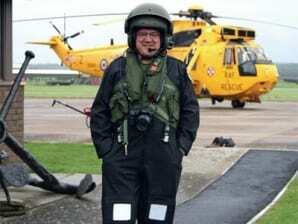 My sincerest thanks go to everyone for working so diligently to represent this aircraft and its crews fairly. We are also all indebted to Luc Berger of Dassault, an enthusiastic historian in his own right, who produced a vast array of rare images to illustrate these pages, as did Luigino Caliaro and Juan Carlos Cicalesi.Thank you, this wouldn’t look half as good without your generosity. Anyone who reads this page will know I hate writing it. This one has been no exception, not only because there was too much to say as is usually the problem, but also because I wanted to set the correct tone for this history of the Mirage without sounding either trite or politically naïve. This was a world beating aircraft when it was produced and still remains in service today, 54 years after its first flight. 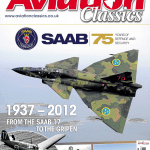 That is what this issue celebrates: the amazing achievement and the sheer beauty of this delta winged gem. This Mirage was no illusion and I hope we have proved that here. The Mirage III 001 in development – When the performance of the MD 550 Mirage I failed to meet specified requirements, work began on a redesign of the concept to provide a larger, better armed aircraft. This was achieved remarkably quickly by Dassault, which created the basis of one of the most successful jet fighters of the postwar years. The Mirage III had arrived, well, almost, for there was still a great deal of work to do. The original designs for the Mirage II and III had intended that the aircraft be powered by a pair of turbojets, the Turboméca Gabizo in the case of the Mirage II and a licence produced afterburning version of the Armstrong Siddeley Viper, known as the R70, for the original Mirage III. The idea of a twin engined layout was one of the first major changes to the redesign of the Mirage III, due to the emergence of the first versions of the engine that would power every Dassault-built Mirage from the prototype forward. This was developed by the Société Nationale d’Étude et de Construction de Moteurs d’Aviation (SNECMA) from the German BMW 003 axial-flow turbojet designs which had been under development at the end of the Second World War. 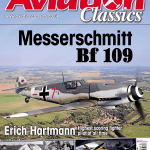 The new engine was named Atar, which stood for Atelier Technique Aéronautique Rickenbach, a workshop and technical centre established and funded by SNECMA at the former Dornier factory in Rickenbach, now in the French zone of West Germany. This was headed by the same man who had headed the original development of the BMW 003, Herman Östrich, and staffed by around 200 German scientists and technicians who had been involved in the development of the jet engine with Junkers and BMW. The first model of the Atar, the 101, ran for the first time on March 26, 1948, and already produced twice the thrust of the earlier BMW engine. The Atar 101B, C, D and E followed between 1951 and 1953, being both ground and flight tested in a variety of aircraft. With the advent of afterburners, both the Atar 101D and E were fitted with them, to produce the F and G models, both of which were flight tested in a Dassault Mystére II in 1954. The Atar 101G produced 10,365lb (4700kg) of thrust in afterburner, and was selected to power the Dassault Super Mystére, which first flew on May 15, 1956, with this engine. Production of 370 of the Super Mystére began in 1957, but was cut short at 180 aircraft due to the impressive performance in testing of the next Dassault type to be powered by the Atar 101G, the prototypes of the Mirage III. With the power available from a single SNECMA Atar 101G being a third greater than that of a pair of Turboméca Gabizos, it was entirely logical that Dassault’s Villaroche based design team chose to develop a single engined design for the new fighter. It would save weight, design and engineering complexity and, most important to any future customers, cost, both initial and long term operating costs. Only 62 people were directly employed on the new fighter design and this small but efficient team had begun work towards the end of 1955, completely self funded by Dassault. This work had been prompted partly by the Armée de l’Air’s ongoing re-evaluation of the requirements for the light interceptor programme, but also by the disappointing performance and armament limitations that had become clear from the initial flight tests of the Mirage I. 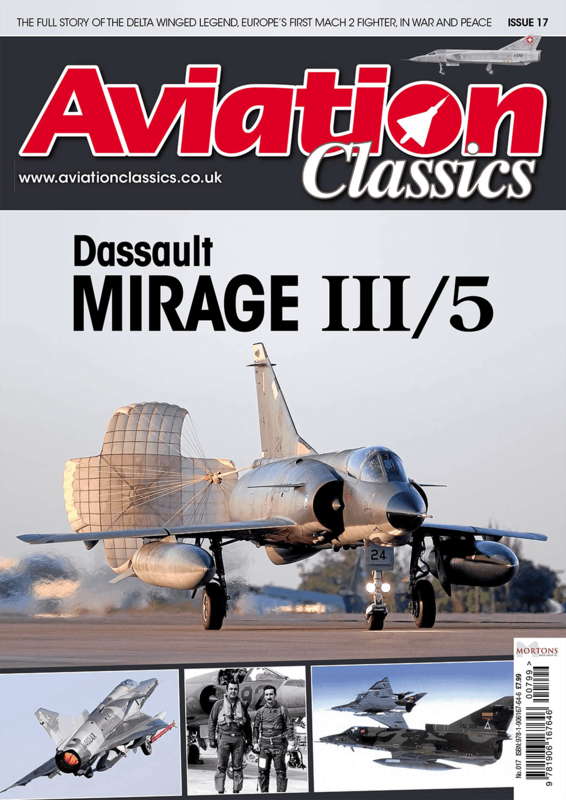 This redesign may seem a little pre-emptive as the Mirage I programme had only just got under way, but Dassault saw the future requirements of its customers clearly, recognising the impact that the rapidly emerging technologies of this exciting time in aviation history would have. It was determined to bring these advances together so it would be ready to meet those needs. Aside from the Atar engine, another of the new technologies built into the design was an area ruled fuselage, giving it the now familiar ‘waisted’ profile. This was a result of American research that greatly reduced wave drag on a transonic or supersonic airframe. The data coming out of the Mirage I development and flight tests was combined with British research from the Fairey Delta 2 experimental aircraft project. The French Government had allowed the Fairey test team to use the airfield at Cazaux near Bordeaux as a base for low level supersonic flights, and both Dassault and Armée de l’Air engineers were on hand to witness the results. The Mirage III prototype wing design was changed from that of the Mirage I as a result of this and other research, with the leading edge sweep angle being increased from the 55º of the Mirage I to 60º. The resulting aircraft was nearly a third heavier than the Mirage I, with a similar wingspan but 5ft 6in (1.7m) longer. The aircraft, now called Mirage III 001, was taken into the air for the first time by Roland Glavany on November 17, 1956, only a year and five months from the first flight of the Mirage I. That this very different aircraft had been conceived and constructed in such a short time is testimony to the efficiency of the small team behind its development. As with the Mirage I, the Mirage III was intended from the outset to be fitted with a detachable SEPR 66 rocket motor under the rear fuselage, which could be jettisoned in an emergency. Again, this was provided not just to increase the maximum speed but also the service ceiling of the aircraft, an important consideration in intercepting the perceived threat from high altitude supersonic bombers. On January 30, 1956, on its 10th test flight, Roland Glavany used the rocket at 38,000ft (11,600m) in level flight to achieve a speed of Mach 1.52, which increased to Mach 1.6 in a shallow dive. This was something of a disappointment for such an advanced design, so the engineers began to look for solutions and found them in the problems associated with controlling the airflow to the engine in supersonic flight. It is a little known fact that jet engines only operate properly in a subsonic airflow, even in an aircraft flying at supersonic speeds. In order to slow the airflow down, a series of shockwaves are generated in the engine air intake, followed by a diffuser, the combined effect of which is to slow the airflow speed to subsonic levels before it reaches the engine. Failure to do this can severely limit the maximum speed an aircraft can achieve, or in extreme cases cause flameouts or engine damage. Controlling the placement and interaction of the shockwaves is the key to successfully achieving this subsonic engine airflow and maximising the pressure recovery of the air entering the engine. Importantly, this also prevents unstable airflow from reaching the engine and reduces intake ‘buzz’ or ‘rumble’ from shockwave interference in the intake ducts, the vibrations from which on some early aircraft were severe enough to cause damage. On some aircraft such as the Lockheed F-104 Starfighter, fixed shock cones were placed in the engine intakes to achieve an acceptable compromise to the airflow at all speeds. In the MiG-21, a shock cone was placed in the centre of the air intake which could be moved in at high speed and out at lower speeds to achieve the optimum shockwave and therefore best engine airflow at any part of the flight envelope. The rectangular intakes of Concorde were served by retractable ramp doors in the same way. On the Mirage III, the intakes had a half cone, known as a centrebody, placed in each semi-circular intake on the sides of the fuselage. These were moved forward and backwards manually by the pilot on the prototype, a system later automated by the use of pressure and temperature sensors in the air intake linked to the flight computer to achieve the optimum airflow to the engine as the speed increased or decreased. From that day to this the intake cones have had the nickname of souris, or mouse, as they move in and out of their holes. The effect of this modification was immediate and electric. The engine thrust increased by over 20% as the Atar was now in a stable optimised airflow. The engine was upgraded at the same time to an Atar 101G-2, and in this configuration the Mirage III 001 achieved a level speed of Mach 1.65 on April 17, 1958, faster than the earlier version could achieve with the rocket motor engaged. This was followed by the 78th test flight on September 19 when the aircraft reached Mach 1.8 with the SEPR 66 rocket motor providing additional thrust, which increased again to Mach 1.89 on the 84th test flight on October 2. The aircraft had by this time acquired the unofficial nickname of Balzac, not a reference to the great French author and playwright, but due to the serial number 001, which happened to be the last three digits of the telephone number of a well known Paris based film advertising agency, Publicité Jean Mineur, which was BALZAC 001. This remarkable machine will return to the story later in this magazine in a very different and wholly remarkable guise. Even before the performance increases achieved with the new intakes, the French Government and the Armée de l’Air were sufficiently impressed by the potential of the Mirage III to order 10 preproduction test and development aircraft on May 9, 1957, albeit with a number of changes required to the design. Firstly, the aircraft was still considered too small for the amount of equipment and avionics that would be required in an operational aircraft, so the fuselage was lengthened by a further 4ft 6in (1.4m) to 46ft 6.5in (14.2m) which was to house the radar and other systems. The wing changed again, the span increasing to 26ft 11 5/8th inches (8.22m) which increased the wing area from 312sq ft (29sq m) to 375sq ft (34.85sq m). To offset the higher drag caused by the larger wing, the design was fine tuned by narrowing its thickness to chord ratio by 0.5%. Various other aerodynamic modifications to the wing included a gently increasing camber of the leading edge towards the wingtip which gave the outer wings a slightly drooped appearance. To meet this drooped leading edge, the outer elevon control surfaces were also curved towards their tips, giving the end of the wing a distinct downwards curvature. Further, two slots or notches were cut into the wing leading edge at about half the wingspan, the aerodynamic effect of these being the same as a wing fence, reducing or eliminating the span-wise flow of air across a wing, thereby making its stall characteristics more benign. Anyone who witnessed or experienced the famous ‘Sabre Dance’ of the early North American F-100 Super Sabre will be aware of how destabilising tip stall can be on a swept or delta wing aircraft. The resulting pitch up moment of stalled wingtips aft of the centre of gravity on a swept wing aircraft would rapidly lead to a full stall and subsequent loss of control. Since this was most often a low speed phenomenon, especially when preparing to land, the loss of control was frequently fatal to the pilot as he did not have the height or time to recover or eject. Either wing fences, or Dassault’s solution of notches, prevented this by eliminating or reducing the spanwise flow of air which caused the tips to stall, so if the wing did stall it happened along the length of the wing and the lethal pitching moment did not occur. Lastly, the design was modified to enable it to operate from both short and semi-prepared airfields by strengthening the undercarriage and other structural elements. This gave the Mirage great flexibility in both its deployment and operational capability that most of its rivals of the day could not match. As can be seen from these modifications and improvements, by the time the first Mirage IIIA, as the 10 preproduction aircraft were known, was ready for its first flight on May 12, 1958, it was one of the most aerodynamically advanced aircraft in the world. The reason behind these changes was a realisation that the new fighter was going to have to be more than just an interceptor, it was going to have to become a true multirole aircraft if it was to fulfil its potential both with the French military and possible export customers. This realisation had dawned after the Mirage III 001 had been loaned to the West German Luftwaffe for evaluation. The aircraft was not equipped with the intended Dassault radar and its attendant fire control system for these trials, as the development of the advanced avionics was far behind the airframe programme. As a result, it was impossible for the Luftwaffe to fairly judge the capabilities of the aircraft outside of its flight performance. Dassault was still promoting the Mirage as a fighter interceptor at the time, while the Luftwaffe was looking for a multirole aircraft that could also fulfil their ground attack and reconnaissance requirements. As a result, the Mirage lost out to the Lockheed F-104G Starfighter which was purchased in 1960. This rejection of the Mirage was partly what spurred the major development of the aircraft into a true multirole platform. The other factor was funding, as the Armée de l’Air simply did not have the finances at the time to acquire several different types to fulfil each role. This decision at the early stage in the airframe’s development was to have far reaching effects, leading to domestic and export success on an unimagined scale, a plethora of sub-types of the Mirage and directly resulting in an astounding 1422 Mirage IIIs, 5s and 50s being built, not including those derivative aircraft types produced in Israel. With the first flight of the Mirage IIIA 01 about to take place, the stage was set for the Mirage to become a reality. While the redesign of the Mirage 001 was developing into the Mirage IIIA, one of the new requirements shaping the aircraft was to operate from short or semi-prepared airfields to allow the type a greater flexibility when it came to military deployments abroad or to forward operating bases in time of war. This concept reached its logical conclusion when it was proposed to fit the Mirage with a pair of jettisonable 28,660lb (13,000kg) thrust rocket motors and launching it from a ramp, effectively making it a zero take off distance fighter. This would have exposed the pilot and aircraft to an acceleration of around +4G for the two-and-a-half seconds of thrust from the rockets. This idea never got beyond the drawing board, probably to the relief of many Mirage pilots. 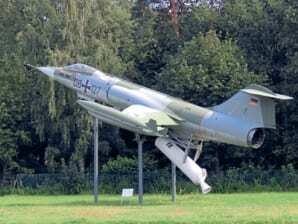 However, the US did experiment with the F-84G and F-100 on launching rails and the Luftwaffe also used this technique in trials with the F-104G, known as the Zero Length Launch or ZLL system. The concept was dropped as moving and securing the launching ramps was expensive and time consuming, as was reloading the fighter after a launch. The advent of vertical take off combat aircraft made the entire concept redundant.